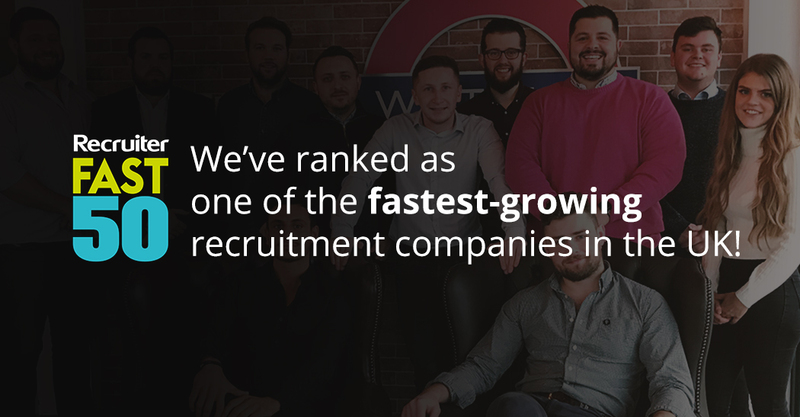 A great start of the year for Whitehall Resources – Recruiter Magazine has revealed their FAST50 2019, a list of the UK’s fastest-growing recruitment companies. We are very pleased to announce that we have made the list for the fifth time. Recruiter FAST50 is a ranking of the top UK’s privately-owned recruitment agencies with the highest annual growth rate. The FAST50 2019 includes multi-sector and specialist agencies, with the IT and technology sector being the one that demonstrated the strongest growth. Our success is expected to continue in 2019, delivering services to organisations around the world. We are very pleased with the results, proving our strategic expansion plans successful – with the completion of our headquarters office build, the introduction of our payroll solutions and our new offices in Frankfurt. We also recognise that this success belongs to everyone at Whitehall, who are committed to delivering exceptional service to our clients and candidates across six continents and to making Whitehall a great place to work. We are looking forward to continue our expansion plans and growth in 2019. Watch this space!